No one at the Outdoor Retailer Winter Market would deny that it’s been a rough year for the US outdoor industry. The show saw some 29,000 members of the outdoor tribe gather to review the latest offerings from 1626 brands and suppliers. If there is one thing the winter outdoor enthusiast can rely on, it’s the performance of knitted textiles. From underwear to outerwear, knitted textiles for outdoor apparel are moving beyond polyester T-shirts and fleece. 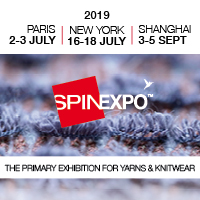 The growing number of knitwear exhibitors at the show reflected the organizers’ emphasis on collaboration between spinners and knitters within the industry. Debra Cobb visited the OR Winter Market to report on the latest trends for knitwear and knitting technologies for today’s outdoor performance apparel.